Attache ta tuque! 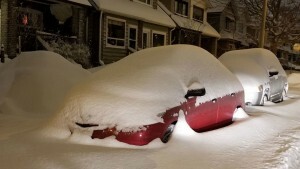 Toron­to doesn’t usu­al­ly get much snow, com­pared to most of the rest of the coun­try. Mon­treal­ers laugh at our lame, half-heart­ed win­ters. 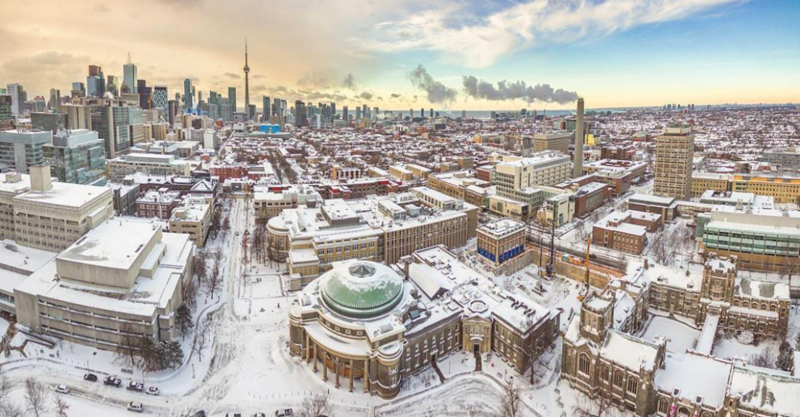 It’s posi­tion on the west end of Lake Ontario, with a ridge of high­lands to its west, means that the pre­vail­ing west­er­lies usu­al­ly drop most of their snow before they reach the city. 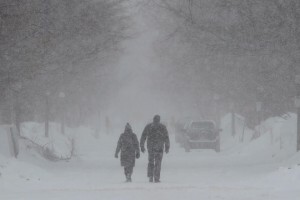 The clos­est Amer­i­can city, Buf­fa­lo, posi­tioned at the east end of Lake Erie, gets much more snow. 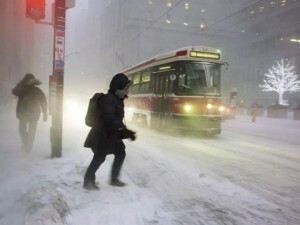 But every now and then a snow­storm will be big enough to dump a hefty load on Toron­to. The evening it hit was a bit grim for Toron­to­ni­ans, many of whom immi­grat­ed from warmer lands.